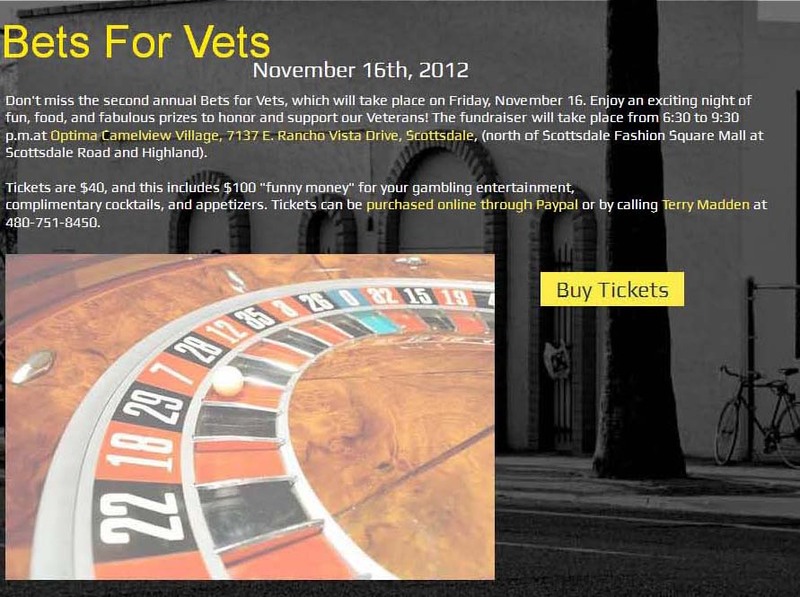 Don't miss the second annual Bets for Vets, which will take place on Friday, November 16. Enjoy an exciting night of casino fun, food, and fabulous prizes to honor and support our Veterans! Location: Optima Camelview Village, 7137 E. Rancho Vista Drive, Scottsdale, Arizona 85251. Tickets are $40, and includes $100 "funny money" for your gambling entertainment, complimentary cocktails, and appetizers. For more information and to purchase tickets visit Justa Center or On the Go Casino® Parties Facebook Events or contact Terry Madden at 480-751-8450.